Our first general meeting of the year will take place on Saturday, 9 February 2019, at 2 pm at our usual meeting rooms at the Sydney Mechanics’ School of Arts. Our featured speaker will be our long-serving executive committee member and treasurer, Judy Howard. 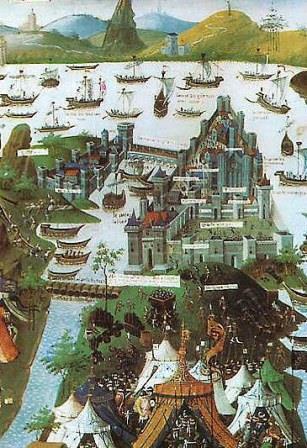 In her talk, “The Byzantine Empire from the end of the Fourth Crusade to defeat by the Ottomans in 1453”, she will be exploring this fascinating Christian civilization, the end of which had many social and political reverberations throughout Europe and Britain. 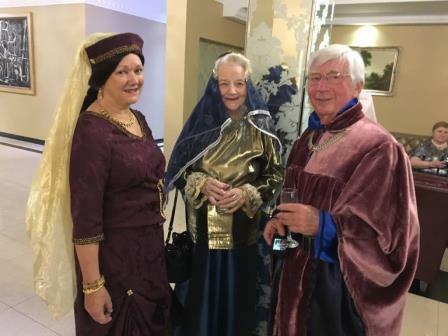 Please also remember that the next biennial Australasian Convention of the Richard III Society will be held Friday, 9 August, through Sunday, 11 August 2019. This year it will be hosted by the Victorian Branch and will take place in Melbourne. For more information is available from our publications officer, Dorothea. In 2007 the New South Wales Branch started a biennial one-day conference for members unable to attend Australasian conventions because of distance. Other branches soon joined in and this year met again at the Albury Manor House Hotel with its wonderful medieval style – and a management that knows exactly what is wanted and provides it with bells on! Arrivals were made special when Queensland member Mark Porter’s two little girls in medieval gowns offered everyone a white rose tied with maroon and blue ribbons, and their brother in “armour” and brandishing a “sword” presented red poppies for Remembrance Day provided by the Robyn Pidcock, Victoria’s tireless craft expert. We wore them proudly for an evening of wining, dining, conversation and enjoyable reunion. 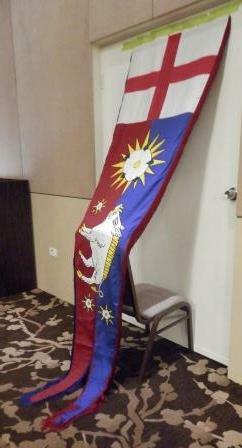 Friday morning we all gathered in a room, with Richard’s banner taking pride of place. A historical quiz, prepared by Kevin Herbert, was handed out for completion during the day. Sadly, Kevin was not present due to the recurrence of a medical condition, but fellow branch members, Marnie and Chris Lo, replaced his presentation with their recent “How to rebury a medieval king”. In the absence of NSW Branch chairperson, Judith Hughes, the Australasian vice president, New Zealand’s Rob Smith welcomed everyone on her behalf and read a goodwill message from Phil Stone. 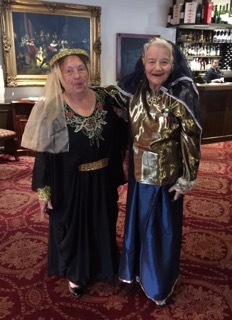 Then Helen Portus and Denise Rawling, organisers of the event, started proceedings them with a light-hearted history of the Wars of the Roses. LOL! A variety of presentations by delegates included Queensland’s Peter Stride enlightening us with the natural history of scoliosis – and later in the day made us begin to query a few Royal paternities. Julia Redlich from NSW spoke on medieval mothers and the possible reasons for their rotten reputations. 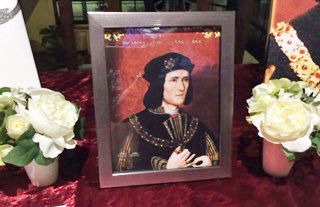 Victoria Branch member Michael Iliffe considered Henry VI who unwittingly sparked the Cousins’ War, and NSW’s Dorothea Preis inspired us with reasons for future trips to the UK to visit Richard III’s mother Cecily, Duchess of York’s home in Berkhamsted. Anne Maslin from Victoria spoke on the rise and fall of John Howard , and Mark Porter sought answers from Rob Smith , Julia Redlich, Sue Walladge (South Australia), Victoria’s Ron and Robyn Pidcock and Louise Carson from Western Australia on why they became Ricardians. 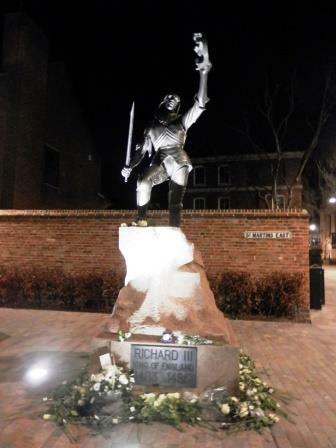 The day closed as Helen and Denise brought us up to date with how Richard III is viewed in the digital age. The Branch sales table had been well patronised and only one item remained (a book about a Tudor, so that’s understandable!). Many raffle tickets had been sold and winners each received one from a covetable selection of prizes. 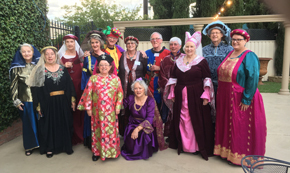 Many wore medieval costume for a delicious banquet, when the toasts to the Society, Richard III and Absent Friends were proposed by Sue Walladge, Ron Pidcock OAM and Louise Carson. Returning to the conference room the quiz answers were given as a PowerPoint presentation created by webmaster Mike Redstone. And the winner: Gillian Laughton from Victoria. The conference concluded with a memorable tribute to John Ashdown-Hill MBE that Helen had produced. All Ricardians will miss John for his knowledge, writing, hard work on our behalf and his role in presenting Richard III in such a positive way to the world. Saturday meant many of the delegates had to return home, but several stayed on for a coach tour that took in local landmarks, a wonderful winery, a delightful lunch and a trip around Albury, a place offering so much. Would it be too much to expect that Ricardians gather there again in the not too distant future? 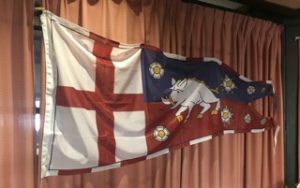 Last Saturday, 13 October 2018, the NSW Branch of the Richard III Society held its Annual General Meeting. After the official part was concluded, Marnie and Christopher entertained us with an interesting talk on Richard III’s re-interment. Here is the Annual Report, which our Chairperson, Judith Hughes, delivered to the AGM. 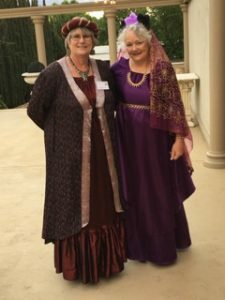 As Chairperson of the New South Wales Branch of the Richard III Society, it is my privilege to present the annual report for the 2017-2018 Ricardian Year. Our enthusiastic membership continues to increase, enjoying the erudite and well researched talks and the friendly social contact at our Society meetings. We continue to meet at the Sydney Mechanics School of Arts at 280 Pitt Street, which has proved a convenient venue for our Ricardians in spite of Sydney’s present shambolic transport conditions. Particular thanks to our wonderful committee, who keep our society running so efficiently. Rhonda as secretary and Judy as treasurer have facilitated so much great work throughout the year. 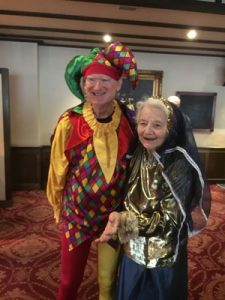 Leslie continues to publicise our activities through the Affinity newsletter, while Lynne, our vice-chairperson, has proved willing to step up to lead as well as to collect meeting fees. Joan continues to prepare delicious afternoon teas and to donate special raffle prizes, while Rachel has selected our book raffle prizes. Dorothea is our membership secretary and liaises with the English headquarters. Very special gratitude must be extended to Laurence, who has run our website, and to Mike who will take over from Laurence as he retires. Mike supplies the sound system, which so greatly enhances the enjoyment of listening to our guest speakers. Welcome to the committee to Marnie, who is so helpful and enthusiastic. Once again we have contributed to the Bosworth wreath in the UK, while in Sydney we have been welcomed as usual to the Anglican Church of Australia, St James King Street, to commemorate Richard III and those who were lost at the Battle of Bosworth Field. Afterwards members met for lunch at the Vanto Restaurant in the Queen Victoria Building. In November, we are looking forward to attending our Ricardian Conference which will, once again, be held at Albury. By meeting near the state border, it allows members, who cannot because of distance attend our bi-monthly meetings, to join us. The conference has been organised by Denise and Helen, Julia and Kevin to whom we are truly grateful. For activities throughout the year, we have been delighted to rely on some very well-motivated speakers to share their research in most interesting talks and activities. 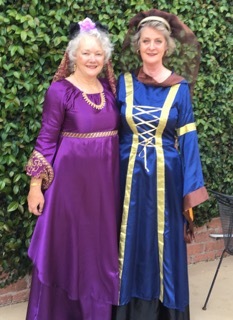 Denise and Helen presented an amusing talk about Richard earlier in the year. Our own Robert Hamblin awardee, Julia, talked to us about “Midsomer Murders”. She believes that many high-profile murders historically took place in the months between April and September She had researched the background of these murders. An example was the killing of the Scottish king Duncan by Macbeth as recorded by William Shakespeare as for the revenge killing of Lady Macbeth’s uncle years before. Dorothea provided us with a beautifully illustrated talk about the Ewelme Alms Houses of the de la Pole family, which are still in use today. Guest-speaker Rob Shipton told us about clocks throughout the ages. Kevin constructed a quiz which explored Richard’s family. Each section highlighted a part of Richard’s life and served as a review of Richard’s life, a lively discussion ensuing. At this October meeting, Chris and Marnie will discuss research into a recently discovered manuscript which elucidates the mystery of Richard’s burial, while Lynne Foley will present the talk “Christmas Rites and Customs” at our December meeting. 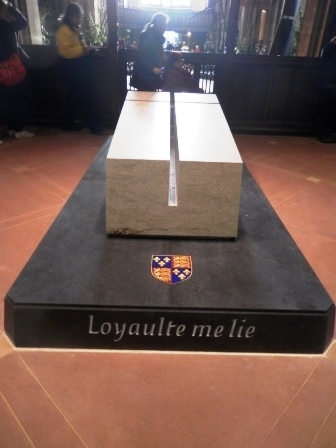 During the year we have been able to assist and encourage several Higher School Certificate students to research their History extension about Richard III. We wish them good luck for their HSC and look forward to greeting them at our meetings in the new year. Thanks to all our members for their support. We look forward to seeing you all next year. It doesn’t happen often that supporters of Richard III and those of Henry Tudor share the same view, but the latest battle of Bosworth, where Richard III lost his live and throne to Henry Tudor, achieved just that. 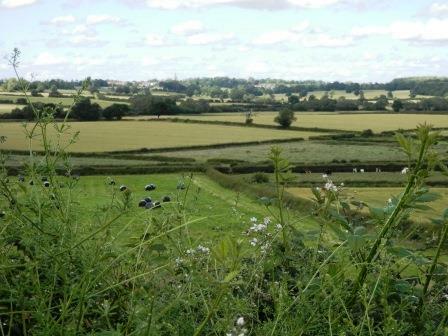 In the early evening (local time – thus in the middle of the night for us in Australia) of 25 September, Hinckley and Bosworth Borough Council’s planning committee had to decide whether to approve a planning application for a driverless vehicle testing track, which would intrude into part of Bosworth Battlefield. The application had first been on the agenda a month ago, on 28 August, nearly exactly 533 years after the decisive battle. An automotive company, Horiba Mira, plans to build a “track [that] would include a 150 metre radius circle attached to a 350 metre long approach road”[i]. Part of the plan are also a two-storey control tower and communications masts. The company has a technology park on adjacent land at Higham on the Hill. At that meeting the decision was deferred for four weeks by 12 to 2. The problem is that a part of this facility would be within the registered battlefield site. According to Horiba Mira the test track only affects only 0.5% of the battlefield. This may not sound like much, but as Mike Ingram[ii] points out, this is somewhat misleading. Unsurprisingly, those supporting the construction of the test track argued that it would create jobs. This always seems to be the argument when debating any issue in the political sphere, when other – less measurable – interests speak against it, may it be historical significance like in this case, or for instance environmental concerns. At the second meeting, only one person was allowed to speak against the development. That person was only given three minutes to make his/her case. From among various applicants, Richard Smith was selected. He is the Education Officer of the Richard III Society as well as the chairperson of the Leicestershire Branch. He did not just represent the Society though, but also other interested parties, from the Loyal Supporters of Richard III to the Battlefield Trust and even the Henry Tudor Society. This shows once again that when it comes to the preservation of Bosworth Battlefield the supporters of Richard III and Henry Tudor are united. 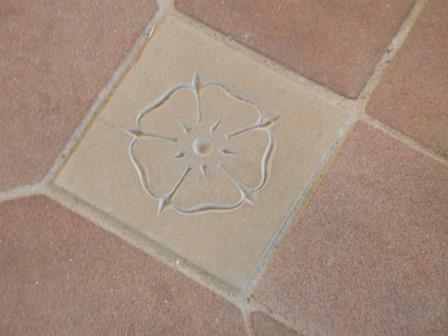 Richard Smith stressed that the site was extremely important historically. He also disagreed with Historic England’s assertion that ‘less than substantial’ harm will be caused. He reminded councillors that they are custodians of a rare asset and asked: “What will future generations think of the decision you make tonight if you are the officials who facilitate the vandalism of the site?”[vi] We would like to thank Richard for fighting for preserving this important site. One of the councillors asked the obvious question whether MIRA couldn’t buy a couple of fields on the other side of the A5 and build the track there. Another councillor stated that 450 years of history where more important than short-term economic gain. A petition against the proposed test track has got at the time of writing this post got 15,564 signatures, also from members of our branch here in NSW. In addition, more than 450 letters of objection had been sent to the council, again some of the by members of the NSW Branch. Unfortunately, in the end it all did not help and the council voted with 12 votes to 5 for the test track. Horiba Mira plans to start building in December. On a more positive note, the original plan included a new access road off Fenn Lane. According to the company its main entrance off the A5 did not have the capacity to accommodate the volume of big trucks. However, Leicestershire County Council objected to this plan because of potential damage to Fenn Lane and safety issues. That’s a collective noun referring to those gathering in Albury, NSW, on Thursday, November 8th. Representatives of all Australasian Branches will meet at Albury Manor Hotel then and enjoy an evening of registering and dining, reunions and introductions. Friday: a programme of presentations that will inform and entertain from familiar as well as new contributors. There will be raffle tickets to buy for fabulous prizes and a special sales table (Christmas is coming! ), a challenging quiz and, in the evening, a Medieval Banquet (costumes welcome, but not obligatory) . Saturday: for those who don’t have to head homeward, a special Chelbec Tours coach will take delegates on a trip to the famous Bonegilla migrant camp, now a historical precinct, for a tour, a talk and morning tea. Then it’s on to some wineries, with lunch at Rutherglen’s Tuileries Café before heading to the delightful village of Chiltern. A brief tour of Albury ends the tour, to view its imposing public buildings, historic homes and delightful gardens. Full details including costs will be sent, after the closing date of September 30, to those who have already registered interest in this. If the tour is not for you, Albury’s Botanic Gardens are wonderful, as are local book shops and galleries and, on Sunday, the Kiewa Markets. If you would like to join the tour, or register for the conference itself, contact richardiiialbury2018@gmail.com Spaces may be available. 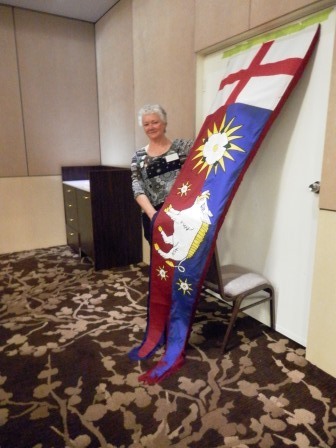 Two weeks ago, I had the pleasure to attend the Australasian Convention of the Richard III Society in Perth, WA. I think I can speak for all who attended when I say that we had a great time. Our thanks go to the WA Branch for hosting this convention. I am sure we will be able to post a more detailed review of this wonderful weekend here shortly. For me personally, the highlight was Mark Porter’s talk about making the video “Searching for Richard III – One Man’s Journey”. He gave us the tantalising hint that we would have to watch the video to find out why he thinks that Richard III was innocent of being involved in the death of his nephews, the two sons of Edward IV. However, there is much more to the video. For those of us, who have been to the places shown, seeing the sights and events of Ricardian significance will bring back many happy memories. And for those who haven’t visited them (yet), they give a much better understanding than any book can. At the convention, Mark also talked in quite a bit of detail about the significance of Richard owning a Wycliffe Bible, which I found especially interesting. I would have liked to find out more about this topic, but I suppose it is something which can be looked at more extensively in future. Watching the video was definitely a pleasure, a pleasure of remembering good times. 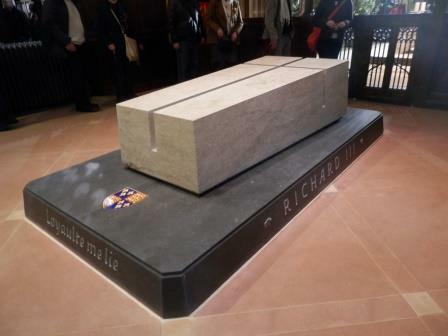 The Richard III Society has published a 72- page record of the reinterment week of Richard III. This Souvenir Booklet is being dispatched to all Society members this week and should reach us soon. This will be invaluable to everyone. The September Ricardian Bulletin, with the Society annual report, is due to be dispatched in the first week of September. A reminder about the 2015 Australasian Convention in New Zealand. Remember the conventions are for all of us, whether you are a member or a friend. There will be a wide variety of fascinating talks. Conventions are always a wonderful opportunity to catch up with old friends and make new friends, and above all to talk about the interest all of us have in common: Richard III. Remember, to avoid prohibitive bank charges you may wish to credit the $50 deposit or full fee to a nominated Australian bank account. For those attending the Convention the Angus Inn has agreed to a special discount rate. When booking accommodation at the Angus Inn please do so by email not using the booking agent. Bank account details and registration forms can be requested from the NSW Branch Secretary Rachel. Please consider carefully whether you are really prepared to miss out on this great event!